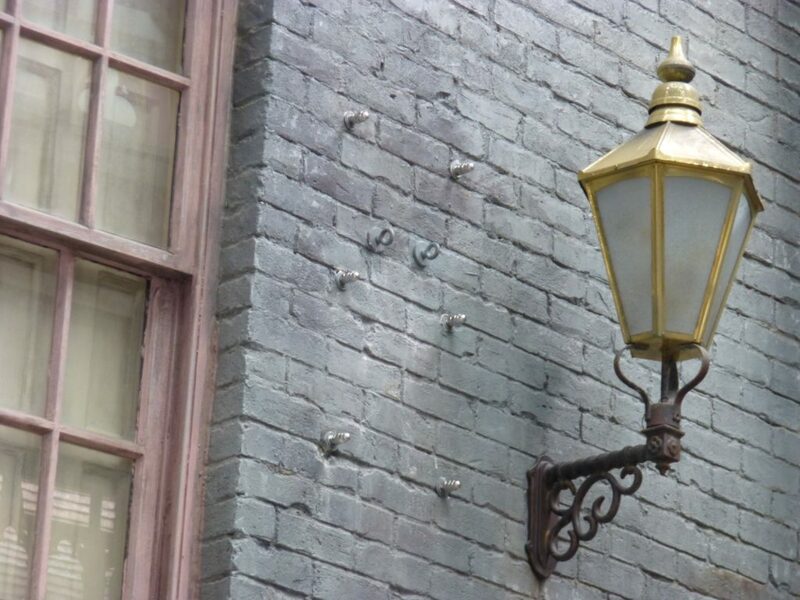 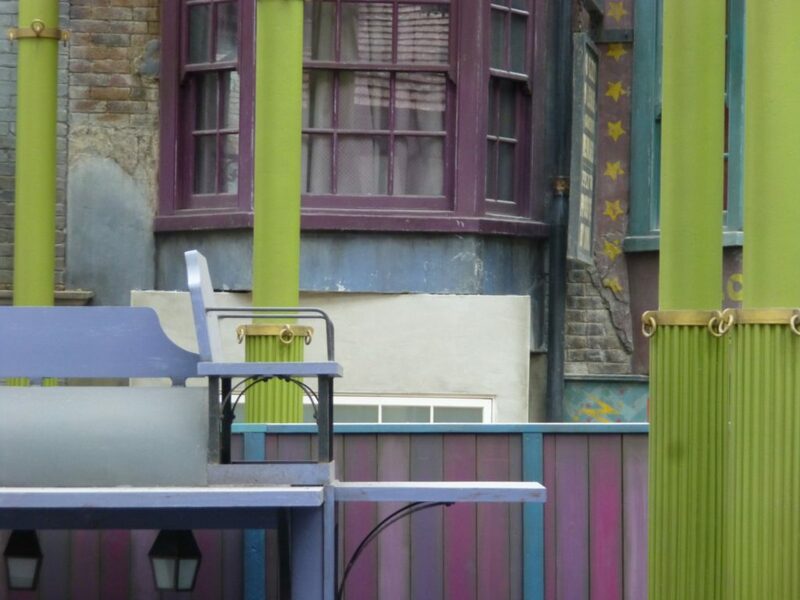 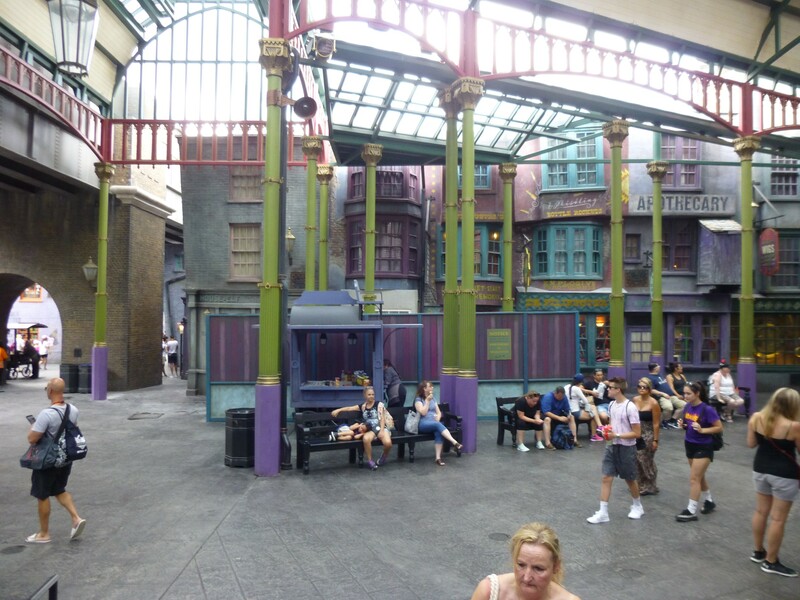 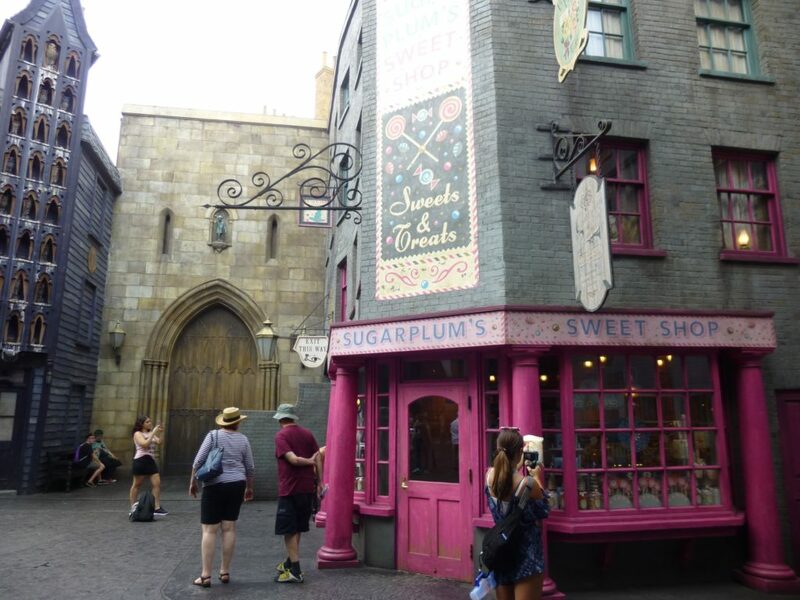 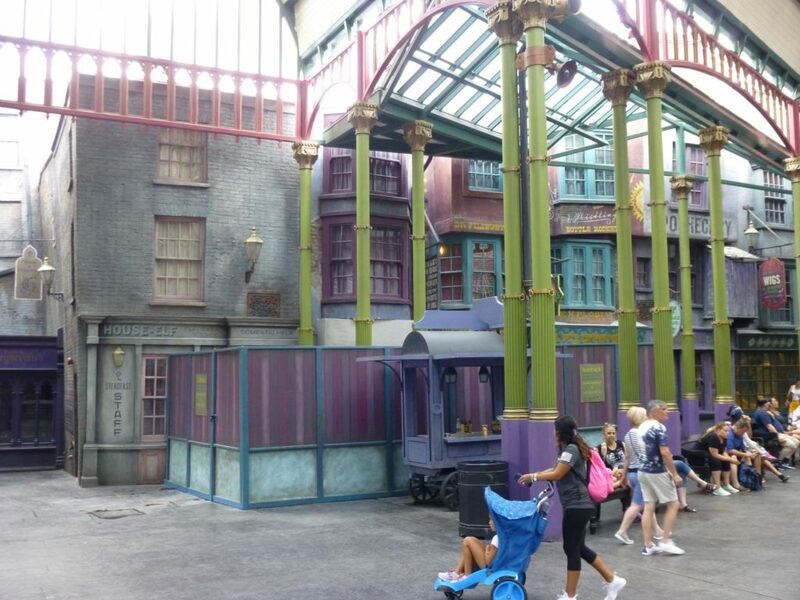 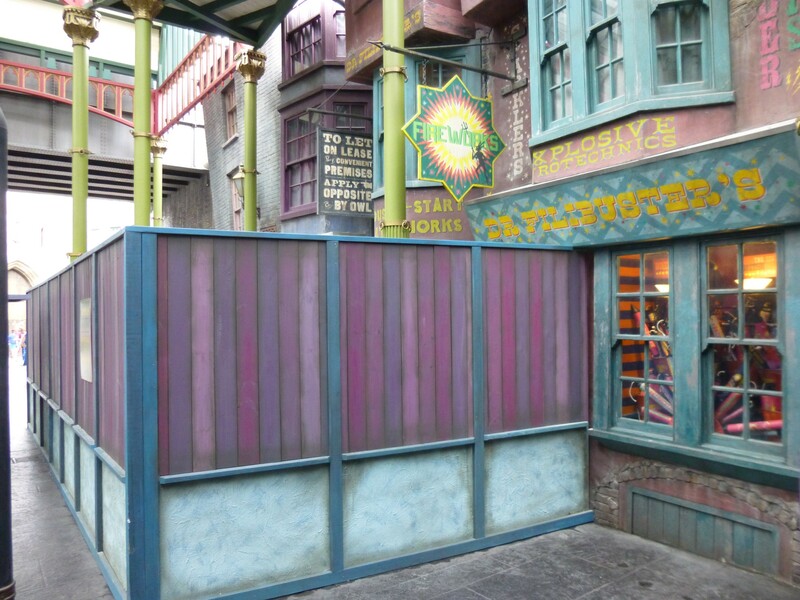 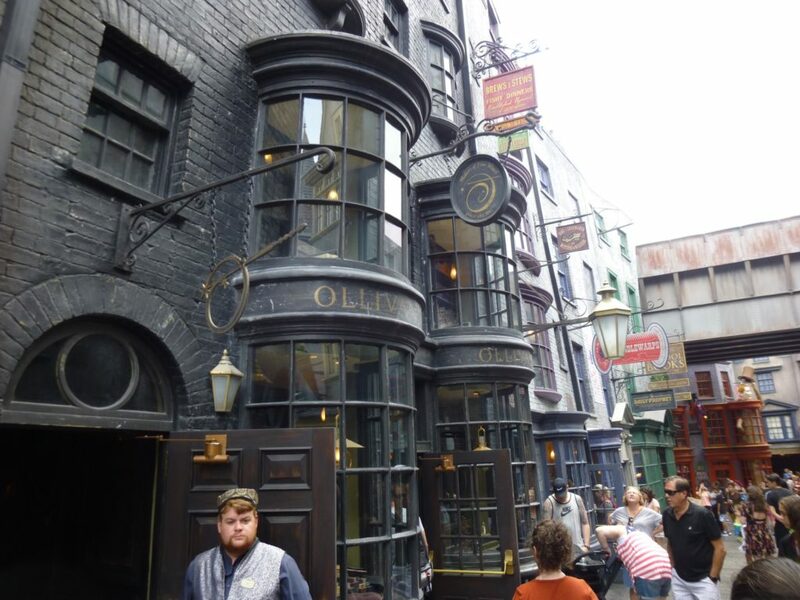 In my last Globus Mundi update we talked about what this mysterious store may offer when it is complete at Diagon Alley inside of Universal Studios Florida. 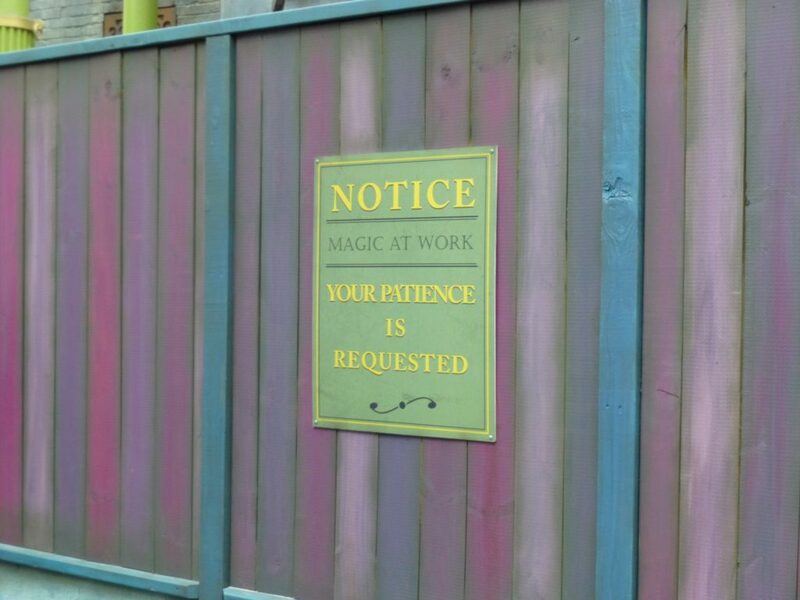 The sign for the fictional travel agency had been hanging in the themed land since it first opened, but only now is a store being constructed. And speaking of the sign, it has now been removed from its original location. 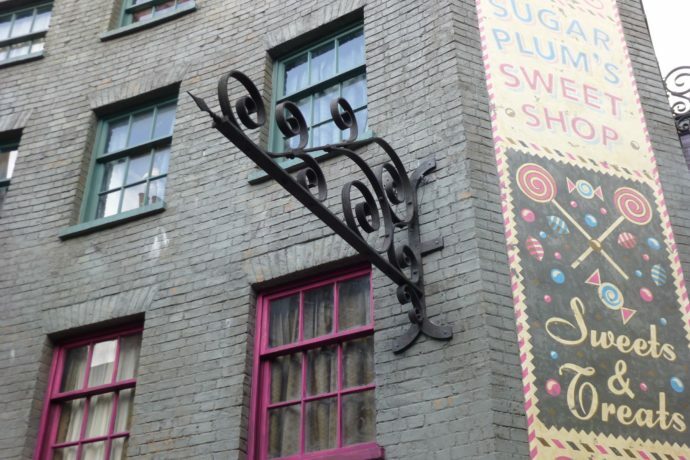 Only the frame where it was hanging from above Sugarplum’s Sweet Shop remains. 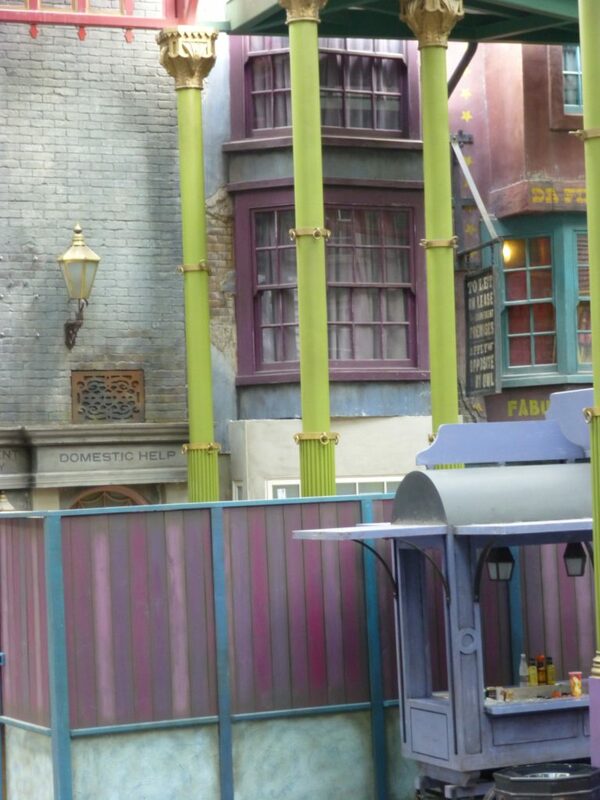 Work is going on behind the construction walls to create a real picture window on the former fireworks facade. 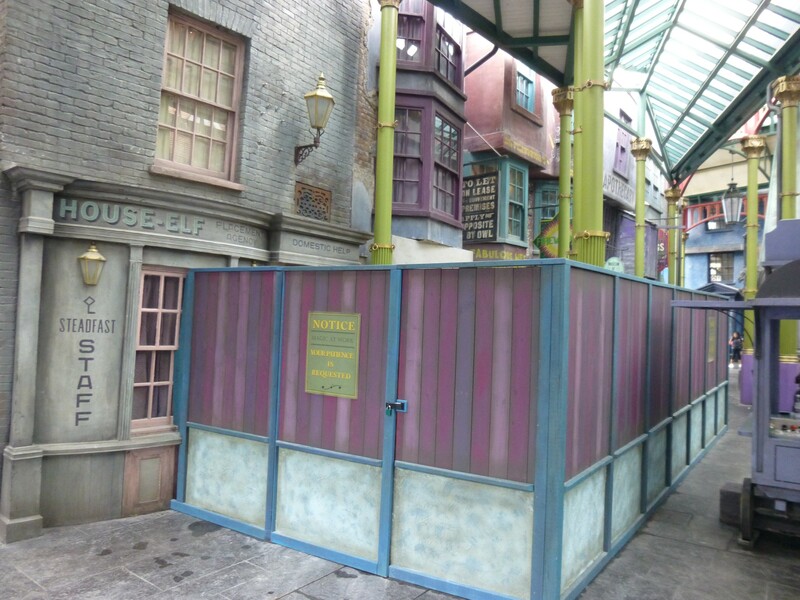 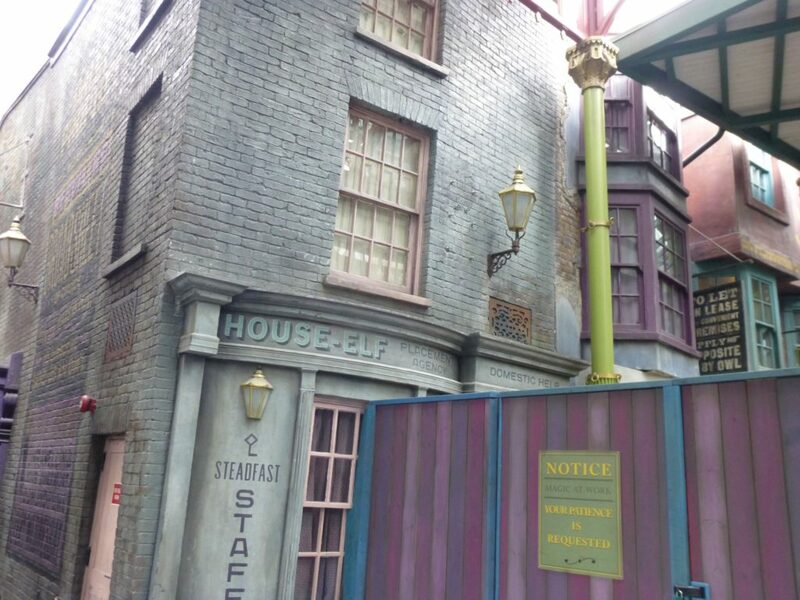 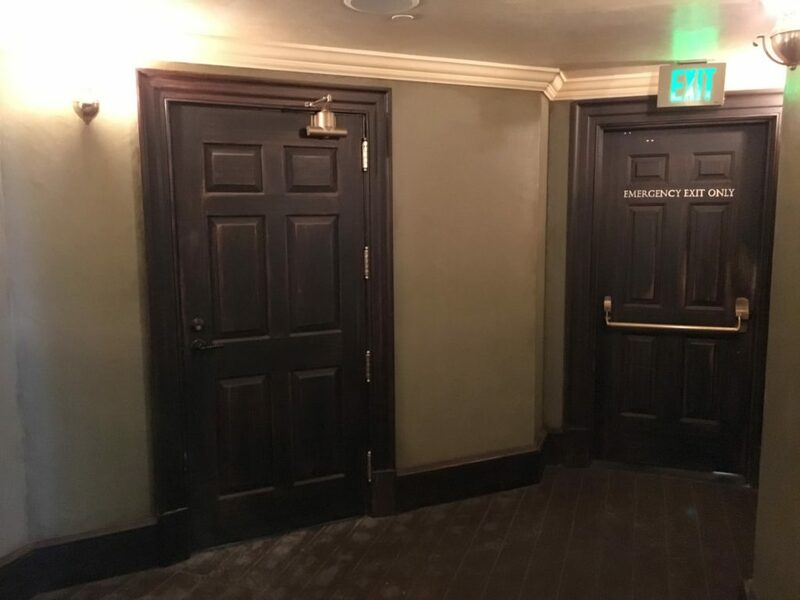 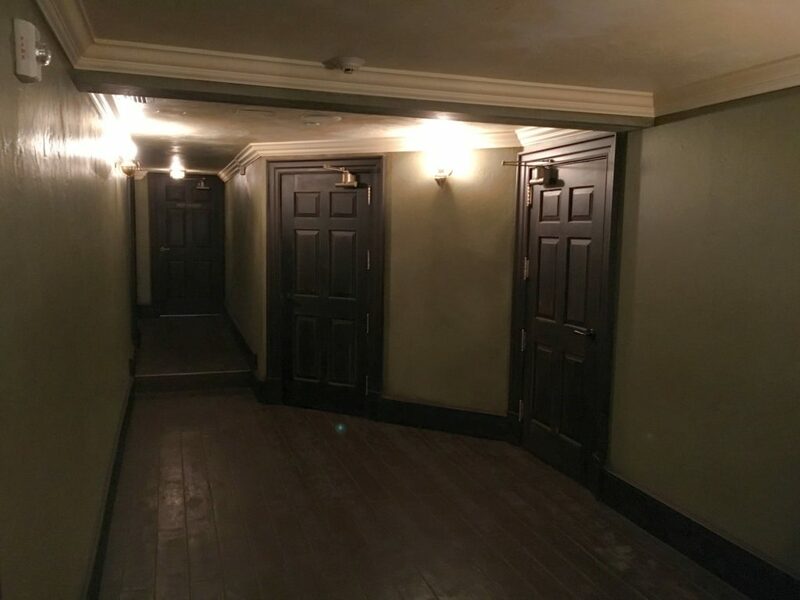 The new store is being built inside of the third Ollivander’s wand room, (which was rarely used in recent years). 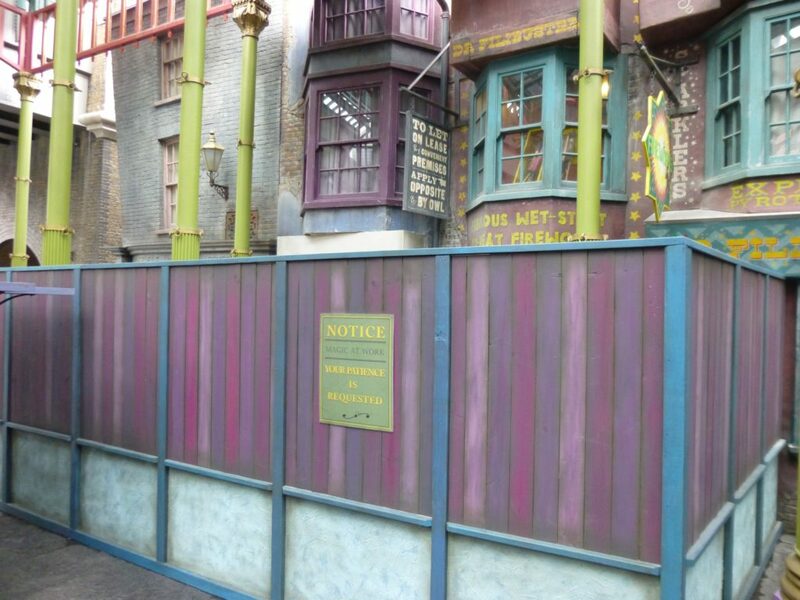 It will have a new storefront facing the Carkitt Market stage. 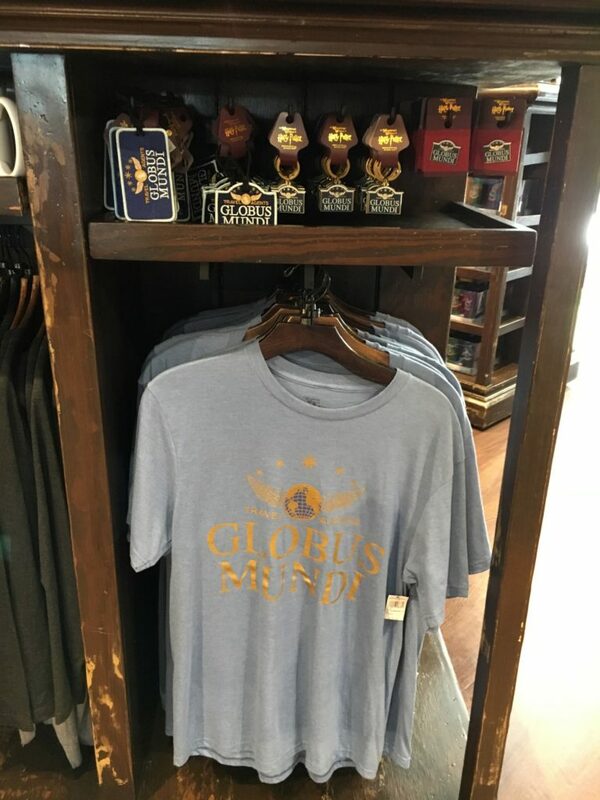 Merchandise featuring the Globus Mundi branding is not currently available at the Studio Store, but you can see what items were for sale in our last update. 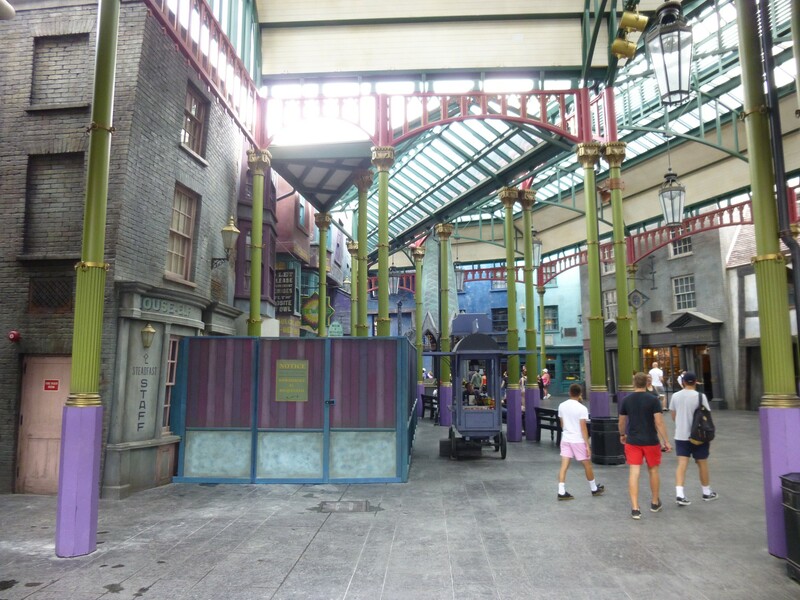 Check out the full photo report below for more details, and stay tuned for more continuing coverage of this and other theme park projects! 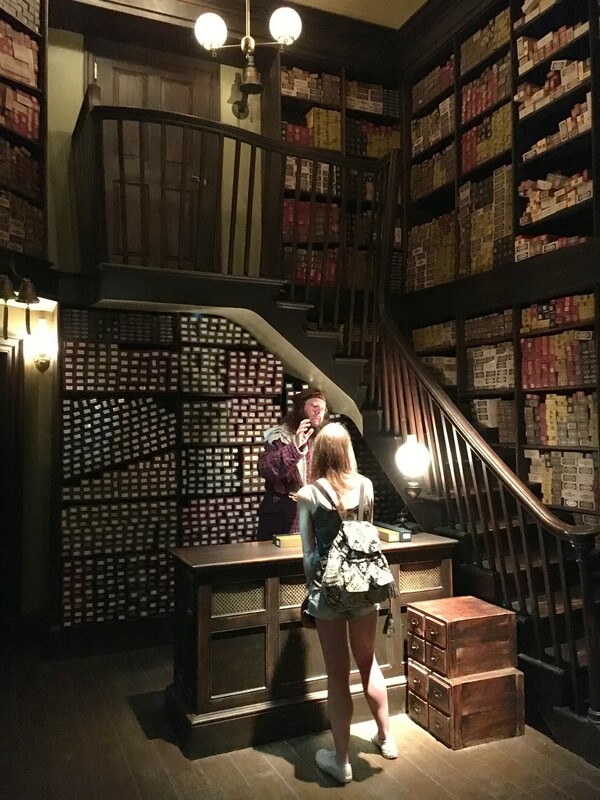 Check out our last update for more details on this unique store. 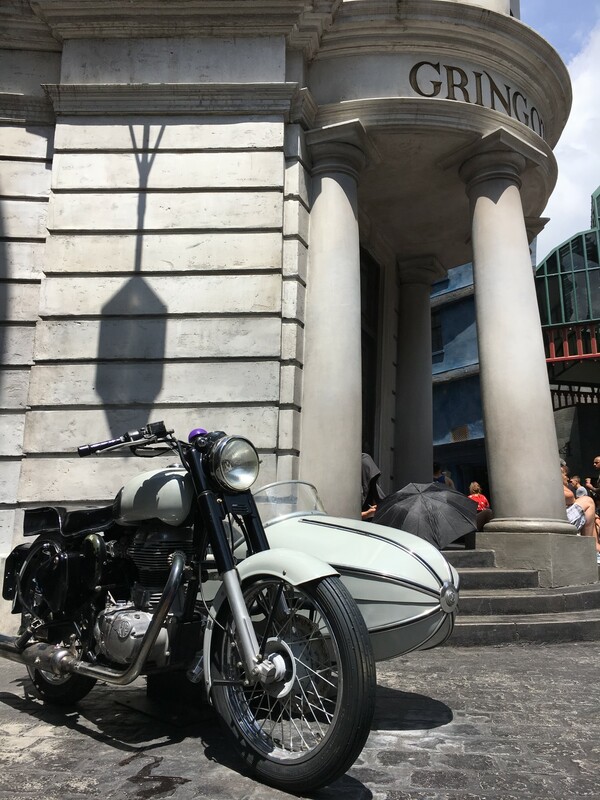 For help booking your next trip to Universal Orlando request your free quote from Elizabeth at Destinations in Florida today! 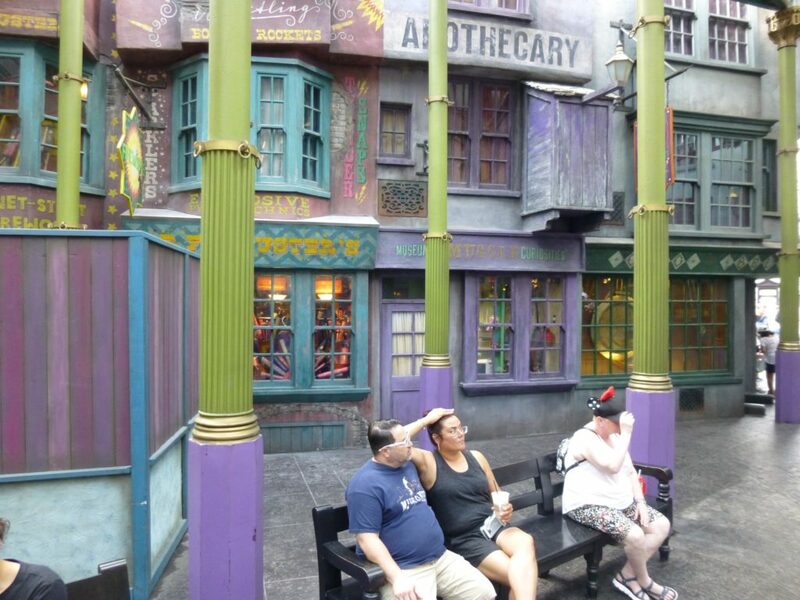 She’ll help you plan the perfect vacation with the best rates on ticket packages and on-site hotels, and her services are totally FREE to you.